The road to hell, they say, is paved with good intentions, and it turns out Cerberus is at least part Labradoodle. They're hypoallergenic, they're great guide dogs, only … not exactly. The real story behind Labradoodles and the "designer dog" trend they started is more heartbreaking than happy, and anyone thinking about getting one should know the truth. The first Labradoodles were definitely bred with the best of intentions. In the 1980s, Wally Conron was working with the Royal Guide Dog Association of Australia. Most of their dogs were Labradors and golden retrievers, until a blind woman in Hawaii needed a hypoallergenic dog. He started out trying to train a standard poodle, but even though they're smart and hypoallergenic, they're terrible guide dogs. So he crossed one of his labs with a poodle, got three puppies, and one inherited the hypoallergenic coat. Win? Sort of. Conron thought he hit on something that would allow people with allergies to adopt a guide dog, and that's a huge deal. But he quickly found no one wanted to foster and train a crossbred mutt. Conron called his mixed-breed dogs Labradoodles and announced the new breed knowing full well it was a gimmick. Suddenly, everyone wanted one. He told Psychology Today that's when he started seeing the trap door opening under his creation. While all his dogs were tested for hypoallergenic coats, other people hopping on the bandwagon weren't testing their dogs. Since it's a complete crapshoot what characteristics each puppy is going to inherit from each parent, the result was a non-standardized breed marketed as something it wasn't — especially considering most purebred dog breeders wouldn't offer up their prized dogs to create a mixed breed. Even the Kennel Club originally condemned the idea, he told Dog King. Breeders didn't want to tarnish their lines with a different breed of dog, and that's a problem that's continued. 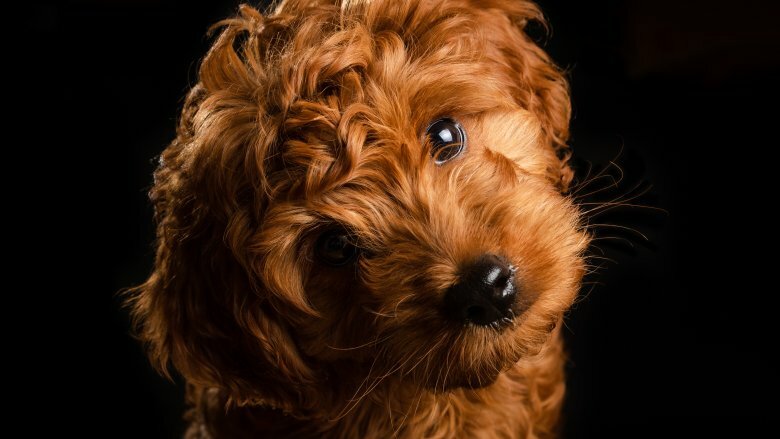 It means the dogs used to breed Labradoodles are often ones that have health problems or genetic conditions that make them not optimal candidates for purebred breeders, but fine for hand-me-down 'doodles. And that means Labradoodles are often less-than-healthy from birth, born to parents who aren't healthy enough to create purebred dogs. That's why they're no longer a go-to dog for guide dogs — many don't have the health, temperament, or ability to be guide dogs anymore. Conron has spoken out against the continued breeding of Labradoodles, knowing that many come from backyard breeders just out to make a quick buck. And it's not just Labradoodles anymore, either. "I opened a Pandora's box, that's what I did. I released a Frankenstein," Conron said. The popularity of Labradoodles kicked off the trend of breeding two different purebred dogs to create a new, trendy designer dog. Poochons, shihpoos, schnoodles, goldendoodles … the list goes on, and they're often prone to major inherited health and behavior problems. In the U.K., the House of Lords is even condemning this kind of cross-breeding as cruel, with Tory Lord Black of Brentwood calling for legislation to stop the trend of breeding designer dogs, made popular by various celebrities (via The Telegraph). Teacup breeds — like the ones some starlets accessorize with — are of the utmost concern. They're usually the product of parents that were runts or premature puppies themselves, and they're particularly prone to health problems that lead to lives filled with brittle bones and weaknesses that leave the dogs in constant pain. The ends of their short lives are often catastrophic organ failure, says Dogster. Not so adorable now, are they? Conron says he lives with the guilt of kicking off this designer dog trend, and he stopped breeding them himself. He bred only 31 Labradoodles after careful genetic research and testing, and instead of hopping on the bandwagon, he retired to live in a small Australian flat with his two dogs, Labradors Jazz and Rocky. When asked why he didn't have Labradoodles, he said, "If I'd gone into breeding Labradoodles for a living, I'd be on easy street. But there was no way I'd do it. My conscience wouldn't let me."